Today we’d like to introduce you to Joanne Hammil. Joanne, let’s start with your story. We’d love to hear how you got started and how the journey has been so far. I majored in music at Smith. My first jobs after college were as a music teacher. Following my then-husband’s career moves, I had various jobs and loved them all, teaching elementary, middle school and high school vocal and general music. When I had my own children, I became certified as a Suzuki piano teacher so I could be home with my kids while teaching a few days a week. 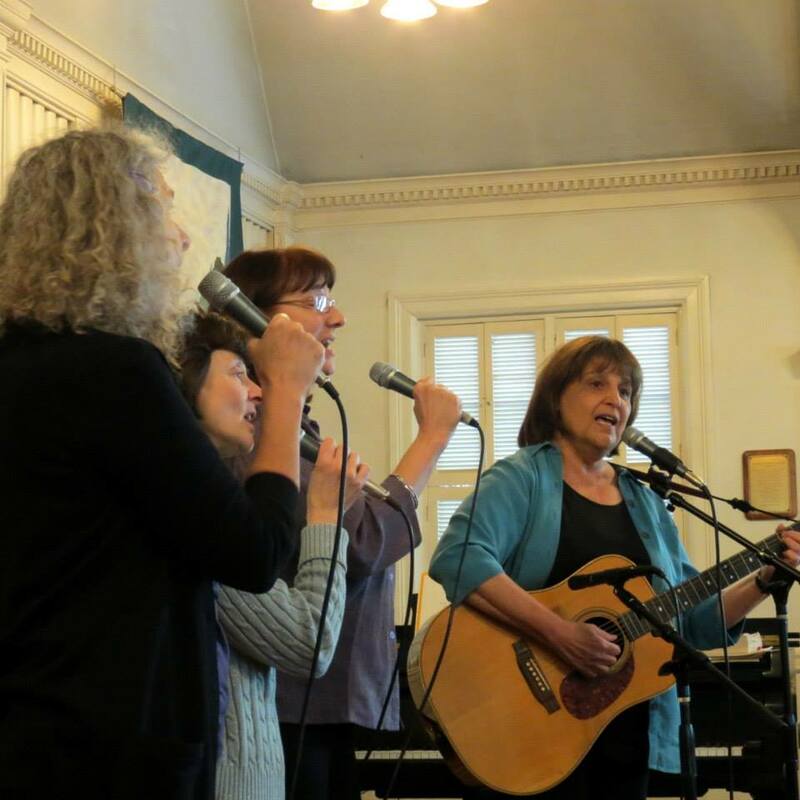 While I loved one-on-one teaching, I craved getting back to running choruses where one can bring out the joy of music in each individual while also joining voices to create artistic beauty with vibrancy and connectivity. At the same time, as my first child reached school age, I couldn’t find a good extra-curricular music program for him, so I started a children’s chorus myself when my son was five years old. This blossomed into a big component of my career – 30 years of my own business called The Choral Connection. I ran community choruses for children in grades 1-2, and 3-5, teens and adults, and at various times I had 4-6 different large choruses. My children’s choruses were like large music appreciation classes which were also exciting choral groups. I rented spaces, hired accompanists and handled all the infrastructure (enrollments, concerts, insurance, etc.) in addition to creating, arranging and providing all the music and directing the programs. 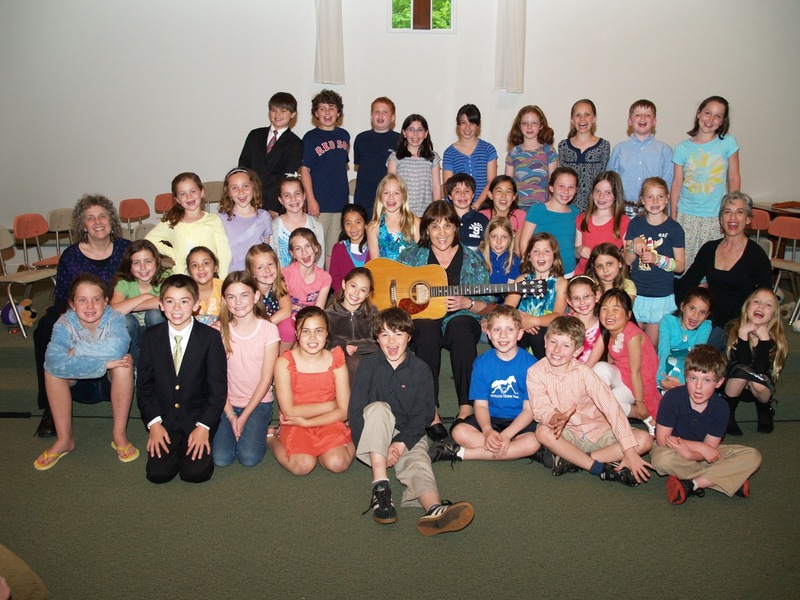 I also ran choruses at music schools in Newton and Worcester MA. Concurrently with running community choruses, I began writing more and more songs myself and performing in schools, or organizations and in coffeehouses. Composing is one of my highest joys, and I began creating CDs and songbooks of my own pieces. I changed my “occupation” on my tax forms from “teacher” to “musician”, which felt like my true identity. 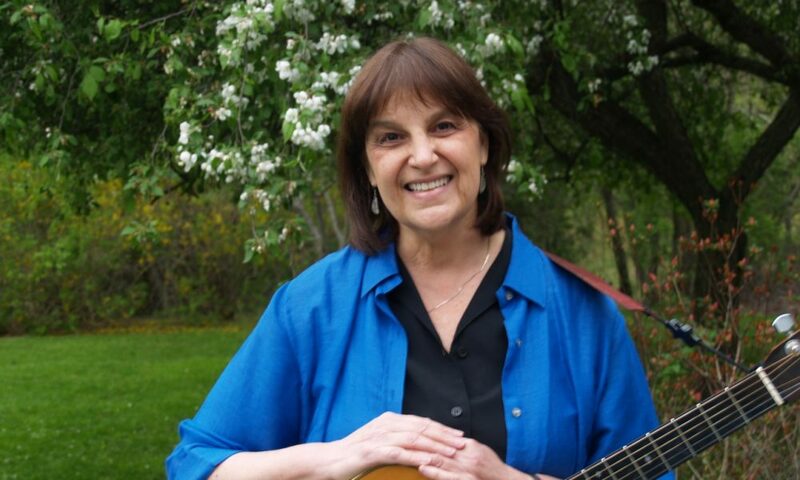 I also began arranging songs for my choruses that were composed by terrific songwriters I was meeting through my involvement with organizations like the People’s Music Network for Songs of Freedom & Struggle, and the Children’s Music Network. I was one of the founders of the latter organization and served as President and was on the Board for many years. It was wonderful to have a network of excellent, like-minded musicians /peers, as otherwise, I worked mostly on my own. Over the years, I’ve given many hundreds of concerts and have presented workshops around the country for music education organizations (AOSA, ACDA, NAfME, Kodaly) and taught weeklong courses at many summer music institutes (Augusta Heritage Center, Swannanoa, Ferry Beach, Common Ground, to name a few). I’ve recently stopped running The Choral Connection children’s choruses and performing in schools, but I’m still working strong. I still love composing and am just finishing two more CDs of my own songs. Establishing and directing the Greater Boston Intergenerational Chorus since 2000 (an 85-voice vibrant community chorus that includes singers from 29 different towns) remains a very large and heartful part of my work. I also still present workshops at conferences around the country and take jobs leading community sings, services, and perform occasional concerts. A career as a solo musician, whether performing, composing or teaching, is rarely smooth. It requires a lot of organizational and people skills in addition to musical ones, and a great deal of independent stick-to-it-iveness and desire. There are no ‘benefits’ like health insurance or the safety net of a pension. And it can be a constant hustle to book gigs or otherwise create ways to work and earn money from one’s art. If I had known that I would get divorced in my 40’s, I would have chosen a career with steady salary and benefits in other fields that I enjoy like chemistry or math (those were my initial majors at Smith before I realized I could actually major in ‘my passion’). But I’m so very lucky that I didn’t know that, because I absolutely love my work, and my path has held joys and opportunities beyond any gratifications I could have imagined. In my work as a music teacher for children and adults and as a choral director, I’ve often challenged long-held beliefs about talent, ‘proper’ singing, the goals of music teaching, and even how to learn about music. I’ve always been oriented toward bringing out the joy and understanding of music within each person rather than creating ‘professional-sounding’ singers or studying music from only Western music standards. In honoring each person’s voice and skills, in using concepts about music from other cultures, and in focusing on how we can reach an exciting level of musicality from many different paths, my own work and my teaching of music teachers have always had a unique edge. It’s amazing how people who have been told they ‘can’t sing’ actually find their voice when given support and confidence, and often end up singing solos in my concerts. I do love high-quality choral music and I’ve directed choruses and groups that reach the highest levels of artistry in the traditional sense, but I also love directing community choruses and guiding non-auditioned groups to reach the great level of artistry that all people are capable of. On occasion, my work is seen from the opposite lens as building community in an artistic and empowering way. In my own songwriting, I’m known for reaching into the heart of issues for children and adults. My passion for the genre of rounds (I’ve written over 140 sophisticated rounds) stems from my love of polyphonic music that I was exposed to through piano lessons, studying music, and singing in choruses throughout my life. The creation of harmony through the dove-tailing of parts – all equal in importance – is a constant thrill to me and represents my social and political philosophies as well as musical ones. Honestly, the children and adults I’ve taught have been my biggest teachers. It was clear to me from the first classes I ever taught that music can be a wonderful vehicle for self-empowerment, self-expression, and connection in the community, and those goals have guided a lot of my teaching work. Of course, there have also been wonderful musicians who have been formative for my music, my philosophies, and my world views through music. I was extremely fortunate to work closely with Pete Seeger for many years. He admired my harmony writing and first asked me to help him complete songs in a specific African form of group singing. We eventually gave workshops together on African-style cyclical songs, Woody Guthrie, and rounds singing at various conferences from California to New England. 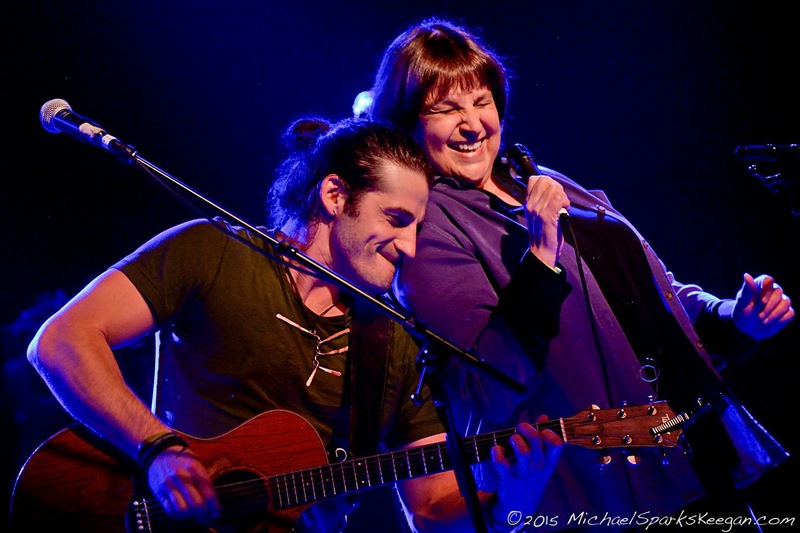 His orientation of getting everyone singing, honoring others’ cultures through music, and working with an underlying goal of social justice for all – all were inspirational to my own beliefs and practices. The many other wonderful fellow songwriters I’ve met and worked with over the years are too numerous to list but have raised my consciousness, elevated my own writing, and been a steady underpinning of community in this otherwise isolating kind of work.